Much like the winged mammal of its title, Laurence O’Keefe’s Bat Boy: The Musical is a rarely spotted show. A shortish run off-Broadway in 2001, followed by a 2005 early closing at London’s Shaftesbury Theatre mark its chequered past. Director Luke Fredericks however, garnered critical acclaim last year with a fringe Carousel at Dalston’s Arcola, so it is an intriguing prospect to see how he fares south of the river and taking on this eclectic look at super-sensationalised vampirism in small-town USA. In a story intended as a comic-book style allegory, Rob Compton plays the Bat Boy, a speechless creature discovered in a West Virginia cave, who is to upturn the lives of local townsfolk. Compton’s performance is well crafted. From a speechless embodiment of his freakish character in the initial few scenes, he develops his capabilities, going on to stretching his bat wings with ease. From vulnerability through to a sheer unaware stupidity, he performs with a conviction matched only by faultless vocals, notably in Let Me Walk Among You and later with Inside Your Heart, a duet sung with Lauren Ward playing a complex mother figure to him as Meredith Parker. 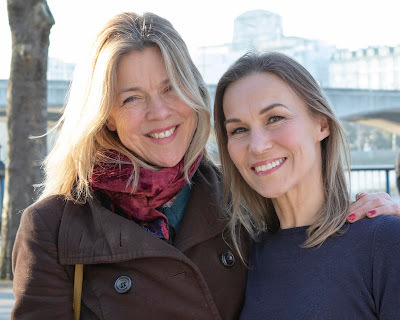 Ward brings much compassion to her role and together with her daughter Shelley played by Georgina Hagen the two women are often the characters that lift the tale out of a rolling stylised humour and into the raw emotions of its ultimate dilemma. There is a strong mother-daughter chemistry between the pair that cleverly builds towards their respective final revelations. The cast are all strong, performing with a tongue in cheek pastiche that makes the full company numbers hilarious, a particular treat being the ever excellent Simon Bailey. His performance as faith healer Reverend Hightower, opening act two with A Joyful Noise, sees Bailey dazzle, not only in his gold shoes and yellow suit but with an infectious zany energy that few can match. The show however remains a curiosity, with Fredericks treading a careful path that aims for deliberate kitschness while trying to avoid the crass. It’s a tough call that doesn’t always work, with the show’s design by Stewart Charlesworth occasionally seeming tacky. A stuffed toy cow’s head complete with intestines in tow, Barbie doll-like puppets abseiling down the set and an over-sized lethal injection syringe, set a tone that occasionally oversteps the mark. 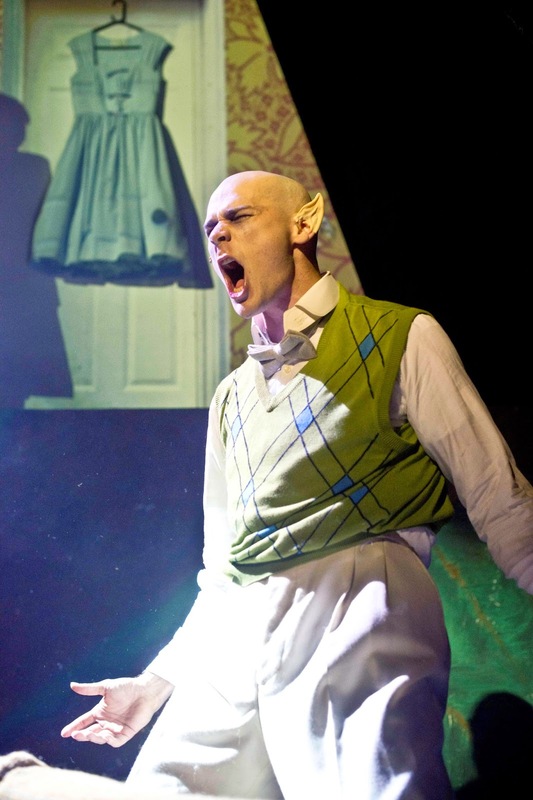 Nonetheless, Bat Boy: The Musical is another example of the vibrancy of London’s Off-West End theatre scene. Mark Crossland’s well arranged five piece band with Joe McKneely’s imaginative choreography all make for a grand night out and if you enjoy wallowing in that guilty pleasure of kitsch Americana, then its unmissable!